I been doing some research into Andrew Jameson's Distillery in Wexford. I believe it's called the Fairfield Distillery but need better proof. I know from The Lost Distilleries Of Ireland by Brian Townsend that it's still was licensed and contained 200 gallons. I will soon be uploading photos of the general area and some ruins around the area. If anyone has knowledge of the distillery it would be most appreciated. 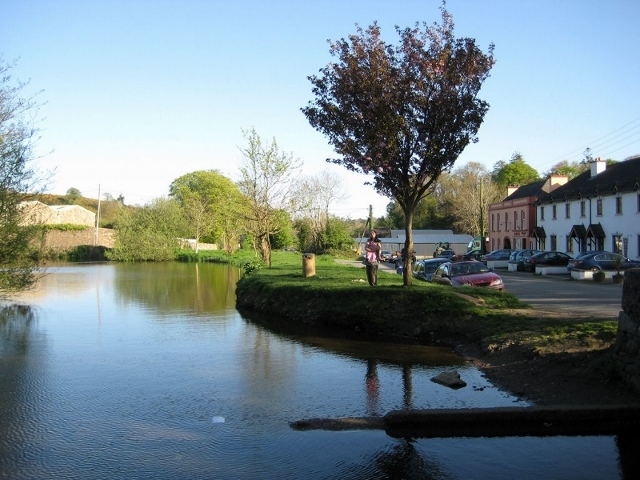 The local river was the Urrin which flow into the Slaney just south of Enniscorthy. One intriguing landmark near by is a lovely bridge called the Venona Bridge,the name alone must have a story. I add more as soon as i can get accurate information. I'm attaching an old ordnance survey map of the area near Enniscorthy. 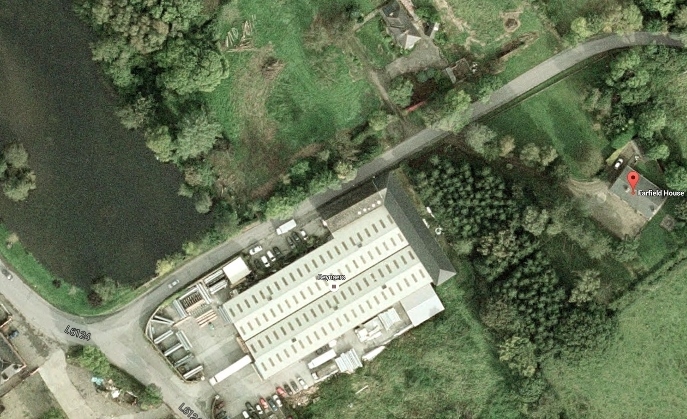 The B&W image shows Monard House in the top left of the photo, it is now Monard Spa. 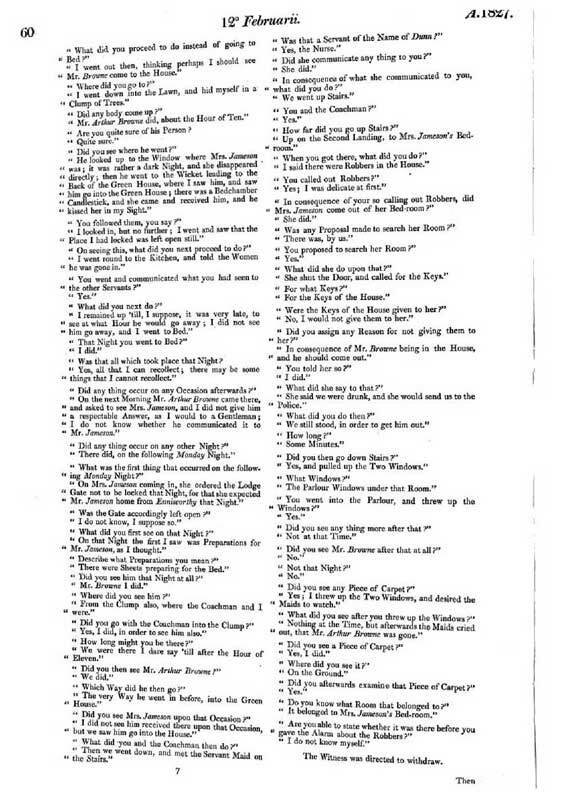 On the bottom right there is a castle called Daphney Castle, this was Andrew Jamesons' home. Sadly it fell into disrepair and had to be demolished some years ago. The area around the Monart Spa is called The Still . 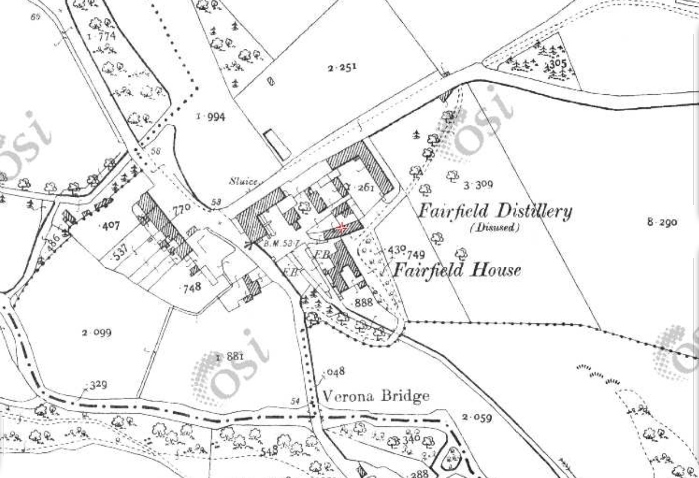 The Fairfield Distillery is mentioned in " The Journals of The House of Lord's. 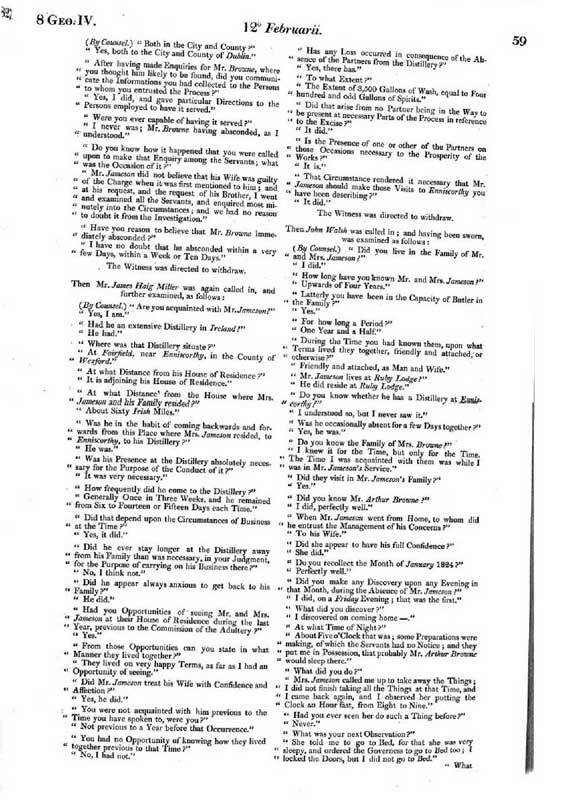 Vol 59" page 58 to 62 date 12th Feb 1827. 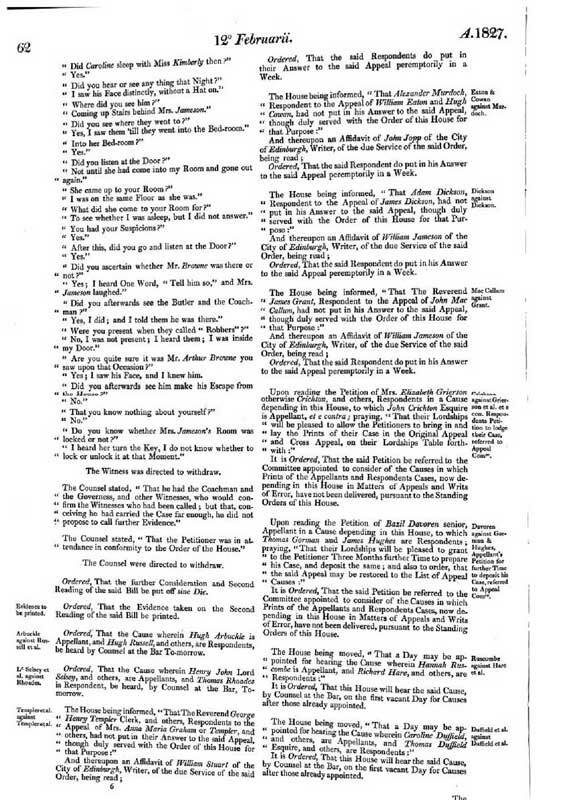 This relating to the divorce proceedings of Andrew Jameson from his wife Catherine for her adultery. 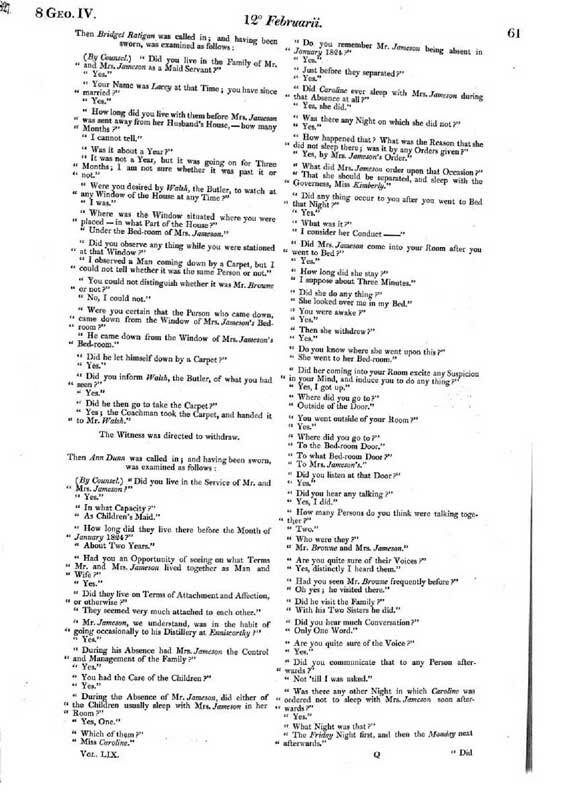 see attached scans. 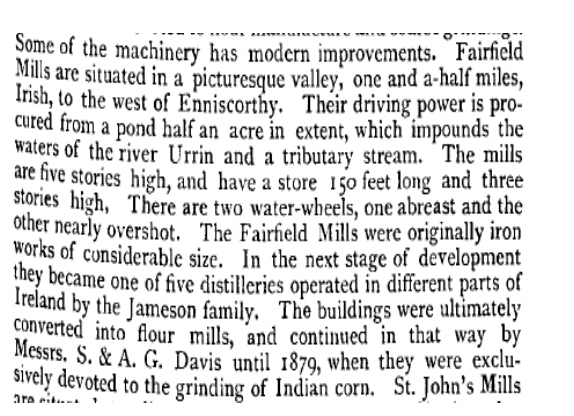 Finding information on the Fairfield distillery is quite difficult ,but I have recently stumbled upon a mention in "Chemistry, Theoretical, Practical, and Analytical: As Applied and Relating to the Arts and Manufactures, Volume 1" by Sheridan Muspratt, Glasgow 1860 ... 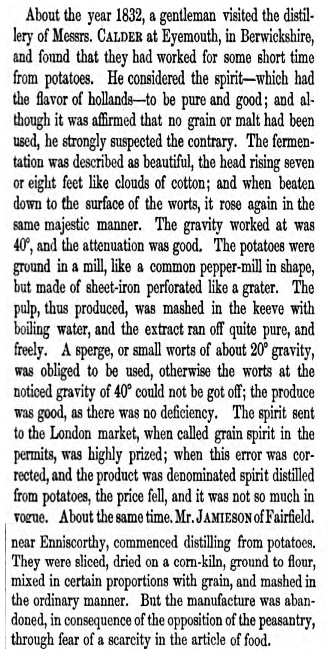 Page 113 in the section called Alcohol - Potato Spirit. ...last paragraph .... Not really surprising that the peasantry were upset after what had befallen the country only a few years before. 2 large metal water wheels. Last edited by charleymcguffin on Wed Mar 02, 2016 10:08 pm, edited 3 times in total. Nice find Charley. I wondered was there much distilling being done with potatoes. I'd assume it was marketed as a vodka like spirit and not aged in casks. Although it would have been transported in casks. I'm curious about this now. 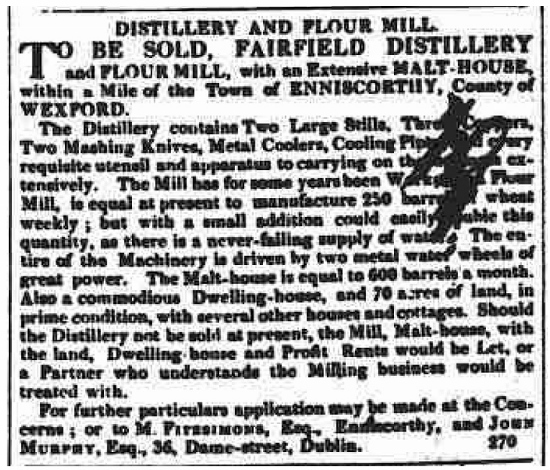 I wonder was this around the time Fairfield distillery was closed up. It's hard to get any information on it considering the family involved. My own feeling is that Jameson probably lost interest in the venture after the divorce from his wife Catherine and then was caught up in his own new marriage . 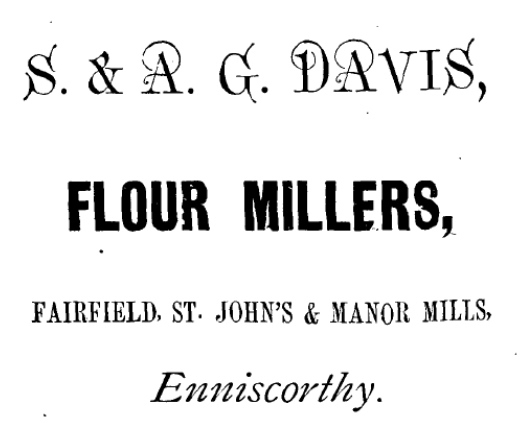 His daughter Helen married A Davis founder of S& AG Davis flour mills ,the distillery had passed to Davis family who converted it into a flour mill. As the site was operating as a flour mill by mid 1830's it did not last long as a distillery for any great length of time after the divorce. 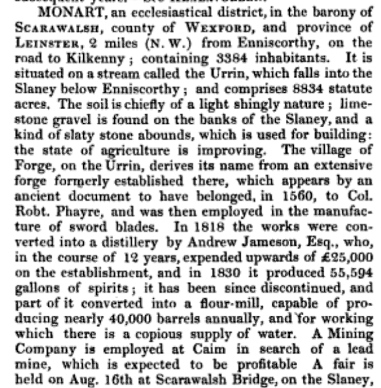 The last mention that I have seen in print , is in "A Topographical Dictionary of Ireland" Samual Lewis 1837. 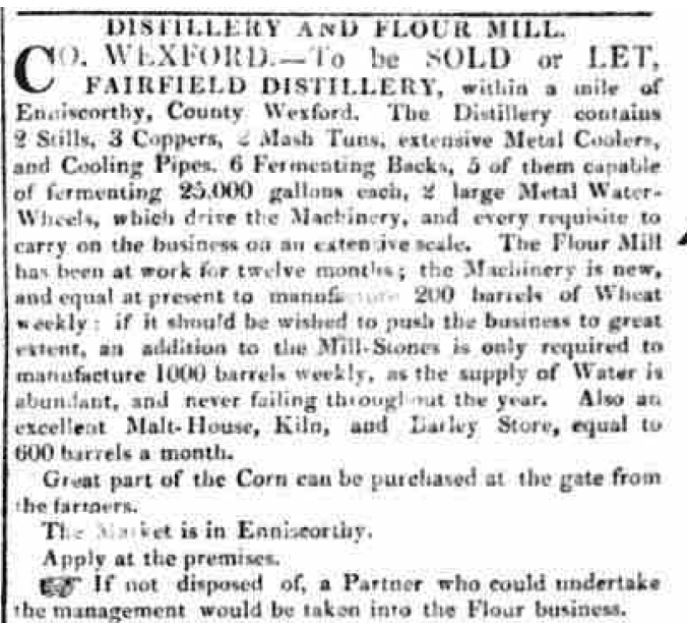 There is mention of the flour mill in Bassetts Wexford Co Guide and Directory of 1885.an ad on page 295 and a resume of the business on page 295 .
for the closure of the distillery, although as he did not get into his stride until 1838 ,this cannot be the case. Perhaps he was trying to diversify by turning Fairfield into a 19th century Ceimici Teo ! Last edited by charleymcguffin on Sat Feb 27, 2016 6:21 pm, edited 2 times in total. 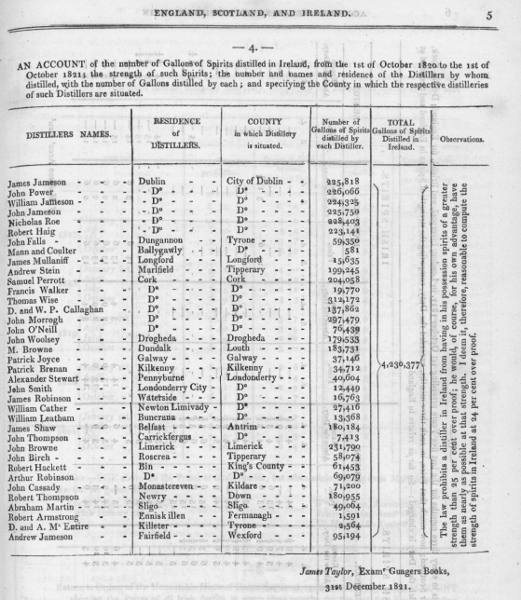 "Accounts relating to distillation in England, Scotland and Ireland, 1820-21"
"Accounts of Number of Gallons of Spirits distilled from Corn and Malt in England, Scotland and Ireland, and Number of Bushels of Malt charged with Duty in Scotland and Ireland, 1790-1825 "
"Account of Number of Gallons of Wash distilled in Scotland and Ireland, 1826-27"
The last chart also mentions Bishopswater Distillery ,owner M.C.Harvey . This must have been just before Devereaux came on board! 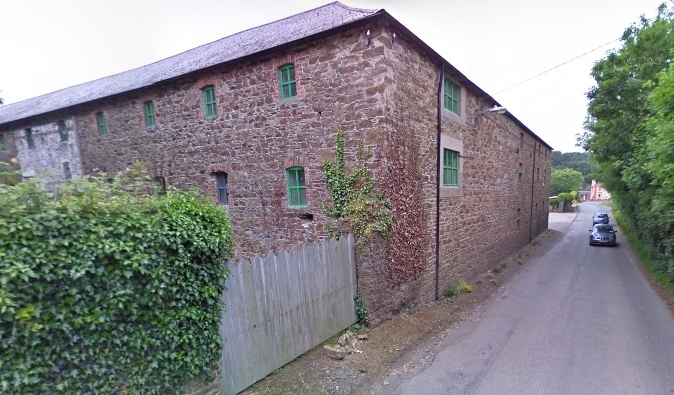 Regarding the Fairfield distillery there is still a portion of the original building to be seen , although this is not apparent when viewed from the main road as the modern factory building obscures the lines . Looking at the old Ordinance Survey map we can see a L shaped store at the rear of the site . This is the building that still survives.. photos and map follow. Last edited by charleymcguffin on Wed Feb 17, 2016 7:33 pm, edited 1 time in total. Good Whiskey Hunting wrote: I'm expecting you to find another one now. I am hoping that we may find another . 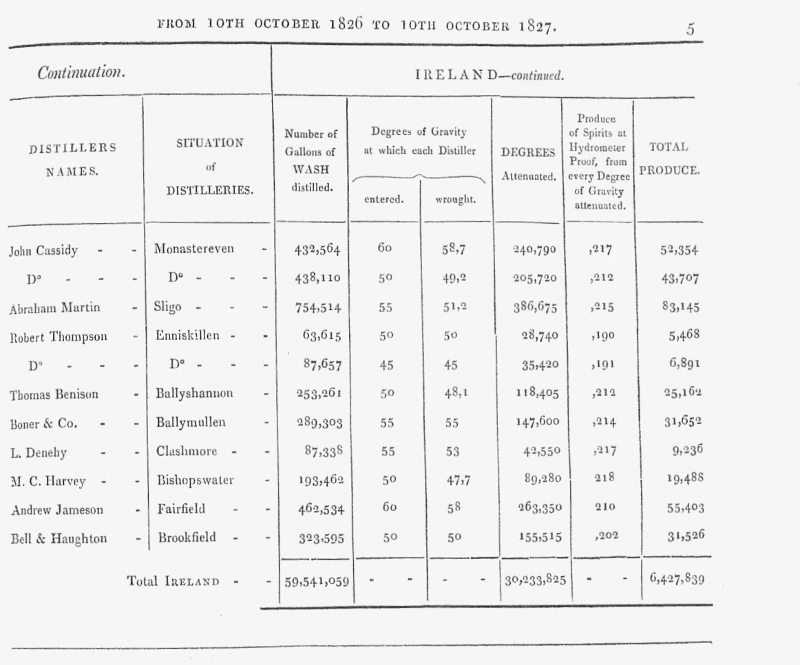 See the comment in the attached extract from "Travels in Ireland " by Johann Georg Kohl 1844. 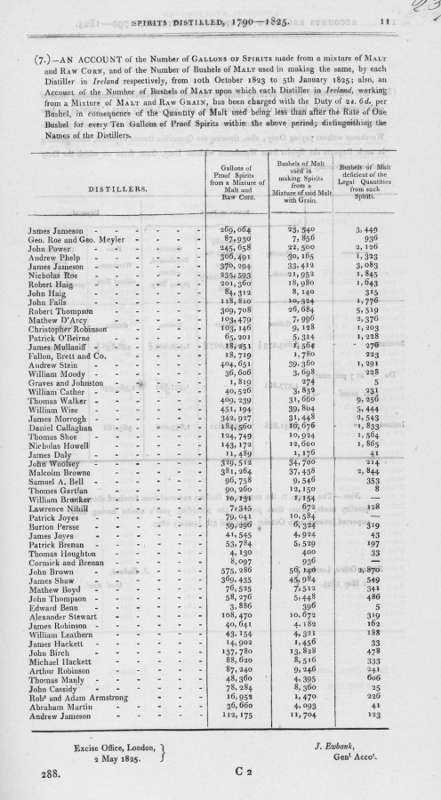 At that date only one distillery was operating i.e Bishopswater. New Ross having closed in 1844 and Enniscorthy in 1840 . However he makes the intriguing remark that there were once 7 distilleries in Wexford, which means that we have one to find! 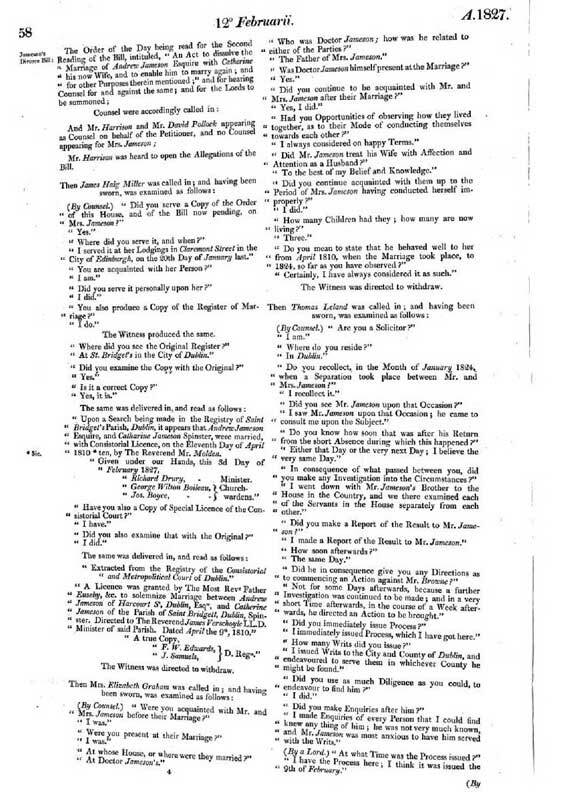 Dublin Evening Post 7th Oct 1838. Unsold the equipment stayed in situ until 1838 when a final sale was arranged in May of that year. 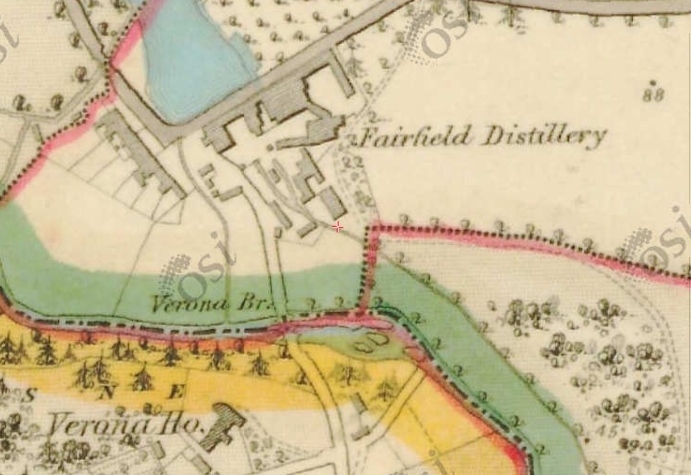 This marked the end of Fairfield as a distillery.